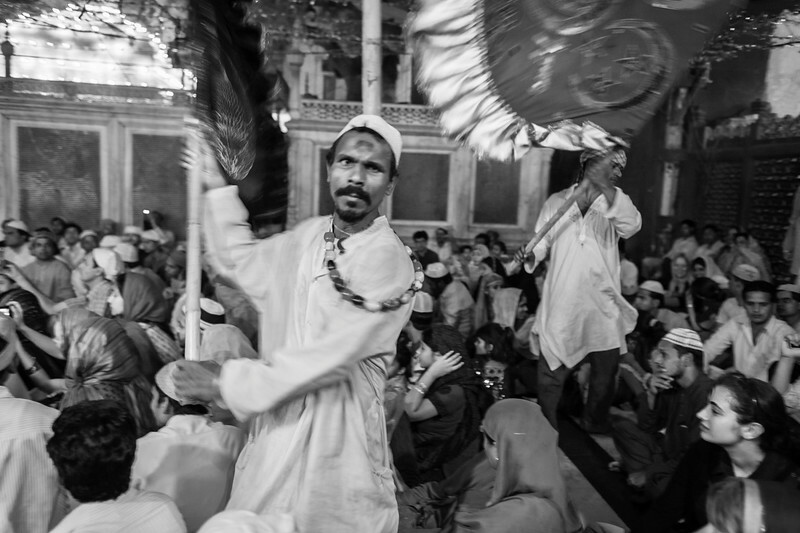 In Islam, a visit to a holy place is known as Ziyara; and in Delhi, perhaps the most important place to perform Ziyara is Nizamuddin’s shrine in the urban village that bears his name. Despite being frowned upon by the more orthodox in the Muslim community, pilgrims have visited this site for centuries, and they continue to do so today. On the death anniversary of this 14th Century Muslim saint, the crowds overflow the dargah itself, where high profile politicians and Bollywood celebrities come and sit alongside poorer pilgrims and community residents. 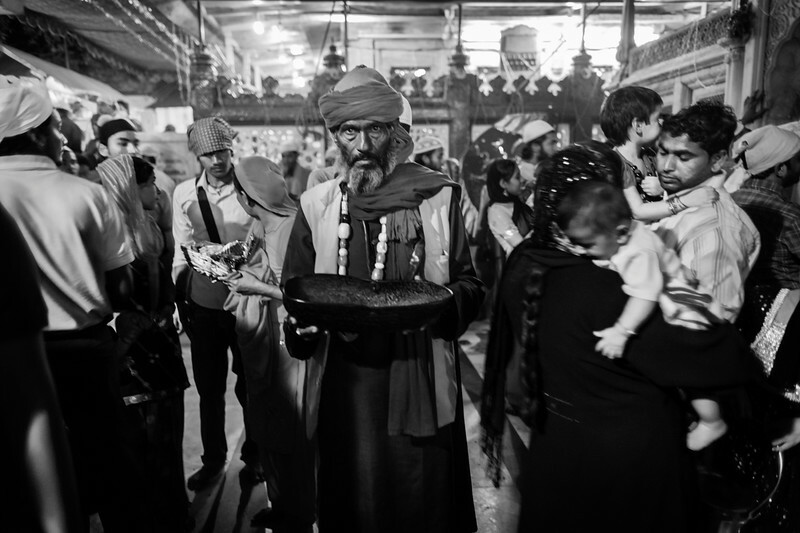 The shrine is approached from the road, and immediately touts approach visitors with offerings of flower petals and sweets to present at the shrine. 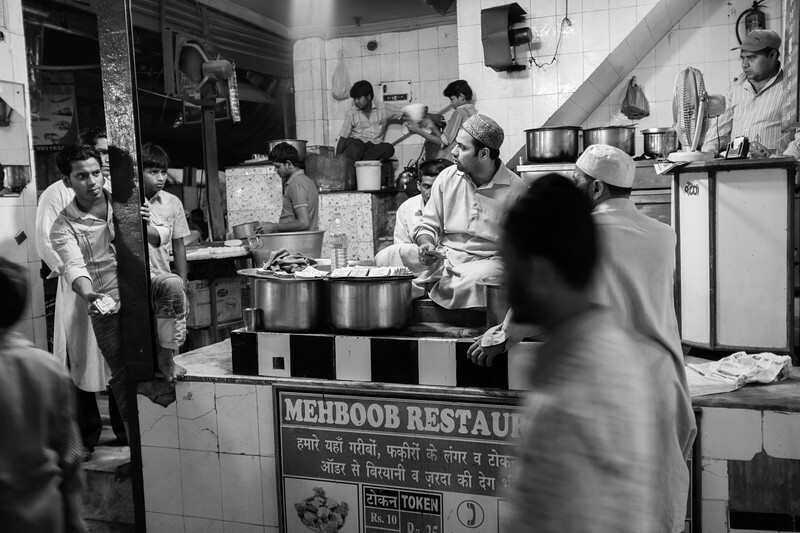 Goats line the road, and butchers do a brisk trade, alongside restaurants such as Mehboob which sells meal tickets for 10 rupees to wealthier patrons, to distribute to the poor and hungry gathered here in large numbers. Then, the visitor is enclosed by the narrow winding alleyways which lead to the shrine itself. The light is almost all artificial in the narrow crowded lanes before the shrine; flickering mosques made from LEDs light the way, with TVs showing religious films and fairy lights from stalls selling devotional music. The 14th Century vaulted passageways are covered by jerry-rigged tarpaulins, protecting the stall-keepers and the customers from the worst of the Indian summer. The lanes are maze-like, but visitors are propelled forward by the crowd towards the entrance to the shrine. 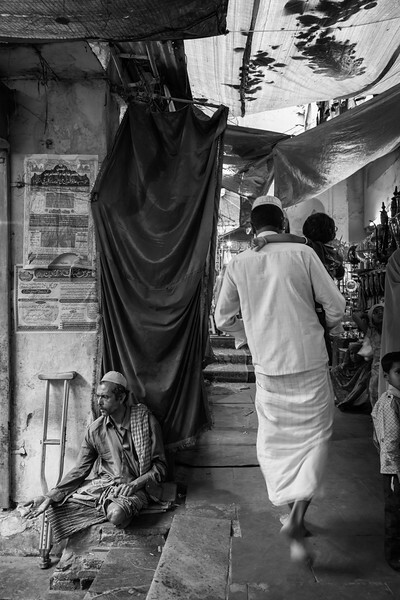 Enterprising ‘chappal-wallas’ on either side of the alley are quick to remind visitors that shoes must be removed before entering this holy place and, obligingly, mind their shoes. 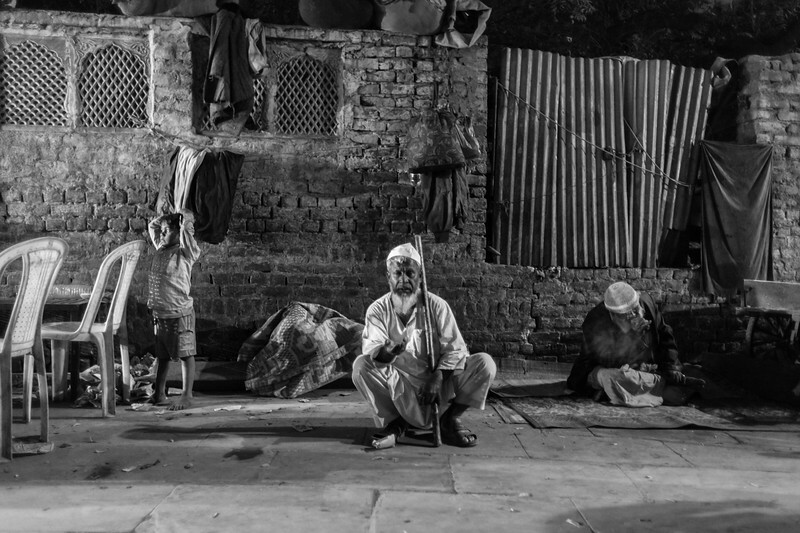 There is something of an ‘Alice in Wonderland’ feeling as the rabbit-warren of the village is left behind and one steps into the dargah itself. The darkness and claustrophobia of the alleyways is instantly replaced by lightness and space. If one has arrived during the day, the many tombs and the imposing Jamaat Khana Mosque will be illuminated by the sun. 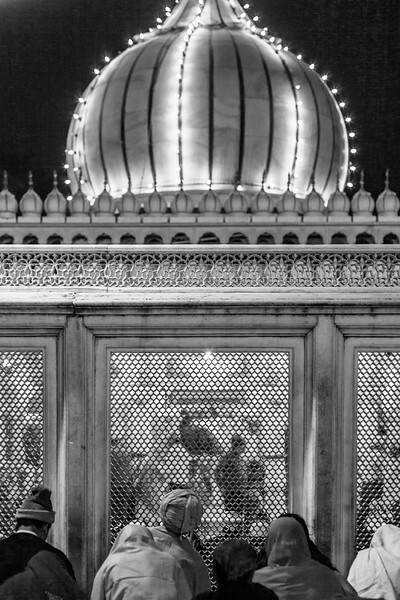 If it is after sunset, then the area will be lit by fairy lights, decorating the shrines of both Nizamuddin, and his devoted follower, Amir Khusro, whose shrine is almost as revered (and traditionally visited before that of his master). 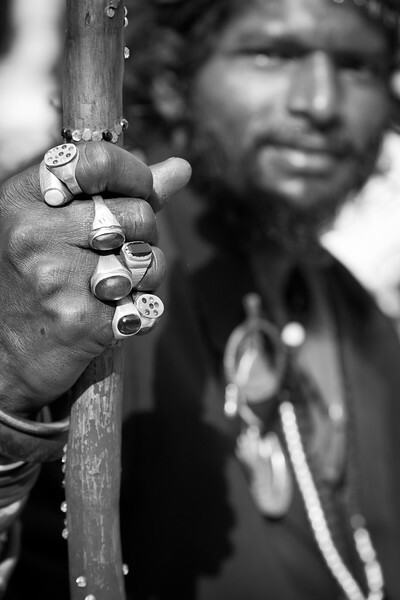 The visitor is unlikely to be alone on a visit to Nizamuddin’s dargah. All manner of people can be found here: pilgrims visit from across the country, and Muslims sit happily alongside Hindus, Sikhs and the occasional tourist. 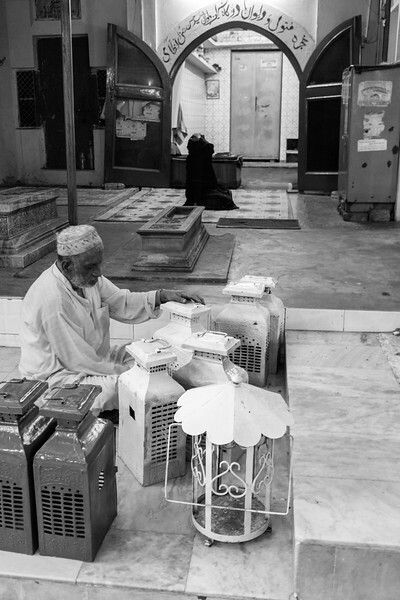 The holy men that maintain the shrine are always present, and in the summer punkawallas wave large fans enthusiastically in an attempt to cool the crowds. 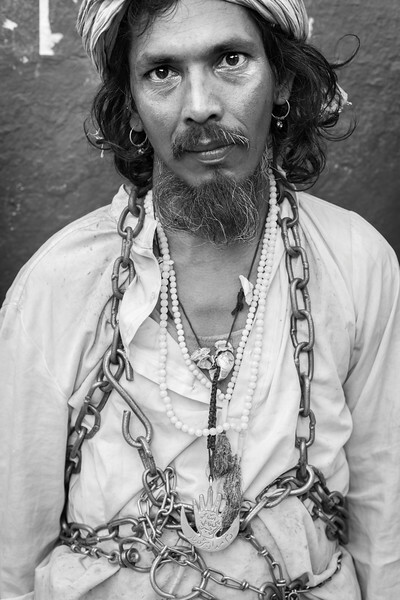 Qalandars, wandering holy ascetics, sit in the shade by the mosque. 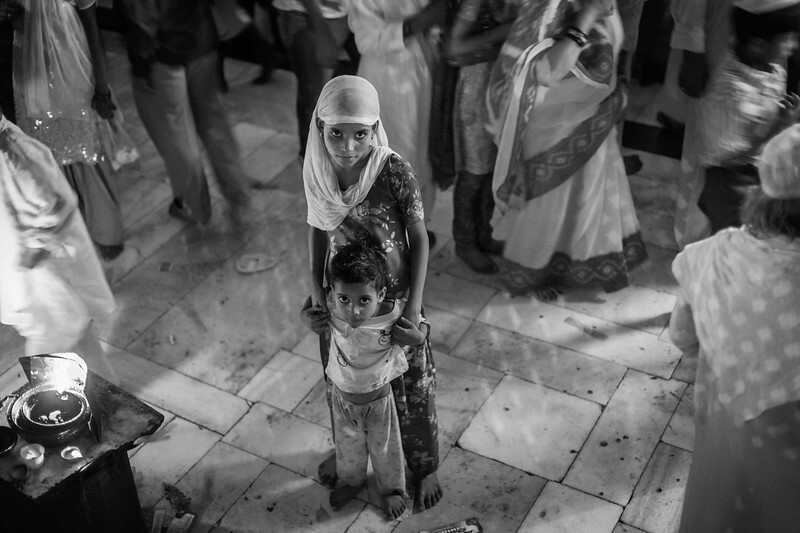 Women gather round the shrine to quietly pray for intercession by the Saint, mumbling softly into the Koran and children run and play, or sleep, in the courtyard surrounding the shrine. The poor and the destitute also gather to receive free rice, provided by the charity of the more fortunate. 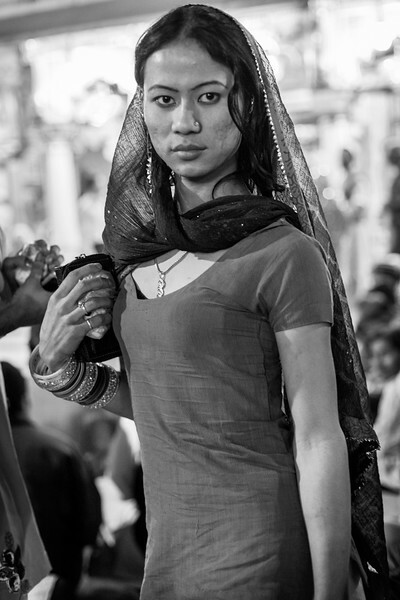 Other marginalised members of India’s society can be seen; eunuchs, or hijras, often shunned by mainstream society, find acceptance here; and in certain of the many tomb enclosures that surround the shrine, those ‘possessed’ by djinns, or evil spirits, moan and wail as they and their family seek deliverance from their torments. 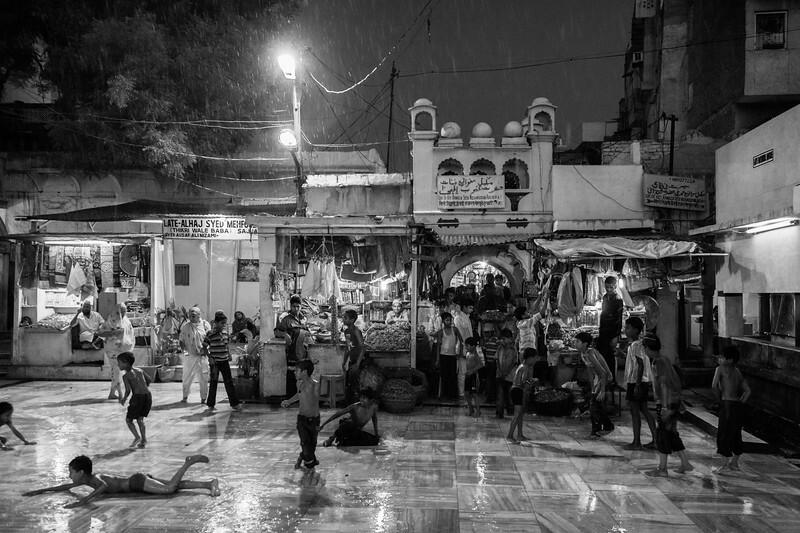 The presence of Nizamuddin’s tomb makes it a highly auspicious place for Muslims to be buried and indeed there are many graves in the area, perhaps more than anywhere else in Delhi. The grandest evidence of this sanctity is the Mughal emperor Humayun’s tomb, standing a colossal 47 metres high on the opposite side of the Mathura Road. 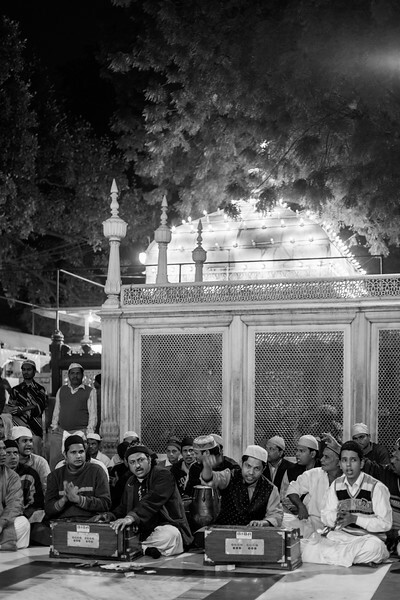 However, the centre of activity in the dargah is Nizamuddin’s shrine itself. Although originally a simple grave it has been much embellished by wealthy patrons over the years. Rulers of the Delhi Sultanate and the Mughal Empire have all lavished money here, seeking to associate themselves with this important spiritual leader, although Nizamuddin himself (as well as members of his Sufi order in general) resisted any such association with secular leaders of the day. 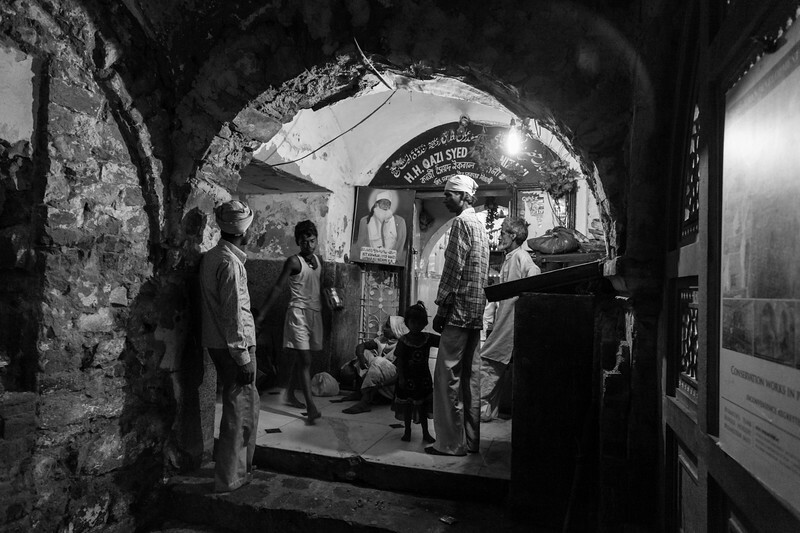 A stream of men enter the enclosure to pay their respects to the saint, leaving on his tomb the flowers and chaddars that they have bought in the alleyways leading up to the dargah. Women are not permitted to enter the shrine itself, but are allowed to pray on the threshold of the shrine and can glimpse the tomb itself through the jali screens erected in the 16th Century under the orders of Akbar himself. It is to these screens that they tie red and yellow threads, often as a prayer for fertility and a symbol of the promise that – should the saint intercede on their behalf - they will not forget who answered their prayers. 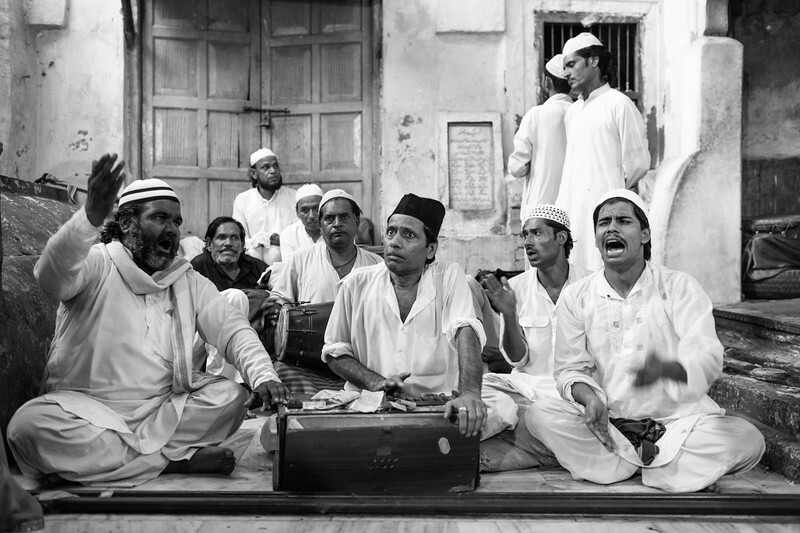 Often, but especially on Thursday evenings, the dargah is further enlivened by beautiful devotional qwalli music that is played and sung directly in front of the shrine, to an enthusiastic crowd of pilgrims, who stand around the performers, or find a place on the marble floors to sway and clap to the rhythm.